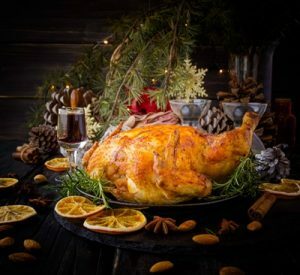 This December, indulge with glee at One World Hotel Petaling Jaya as chefs of Cinnamon Coffee House will be rocking the festivities with an array of offerings for a truly spirited season. Enjoy an abundant spread of international favourites such as Seafood Au Gratin, Chicken Cordon Bleu, Baked Sea Bass with Garlic Cream Sauce, Beef Medallion with Onion Marmalade to name a few. Bountiful seafood on ice displays big catches from fresh oysters, scallops, tiger prawns, to crabs and green mussels. The head turner of the fete is as always, the turkey. The golden crisp bird, which is festooned with kaleidoscope of buttered vegetables, bread, chestnut or mushroom and flanked with cranberry and giblet sauce. Dovetailing with it at the carvery station is the Roasted Leg of Lamb with Garlic and Rosemary.